It can get quite crowded in downtown San Rafael during rush hour. The city has designated many parking areas in downtown to provide ample parking. 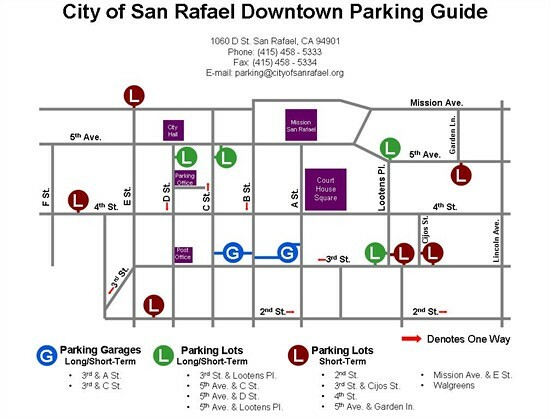 In downtown there are 10 parking areas within the main downtown grid. There are two garages for long- and short-term parking at 3rd Street and A and C Streets. Four parking lots for long- and short-term parking are available. The six short-term parking lots are conveniently located around downtown for quick stops.